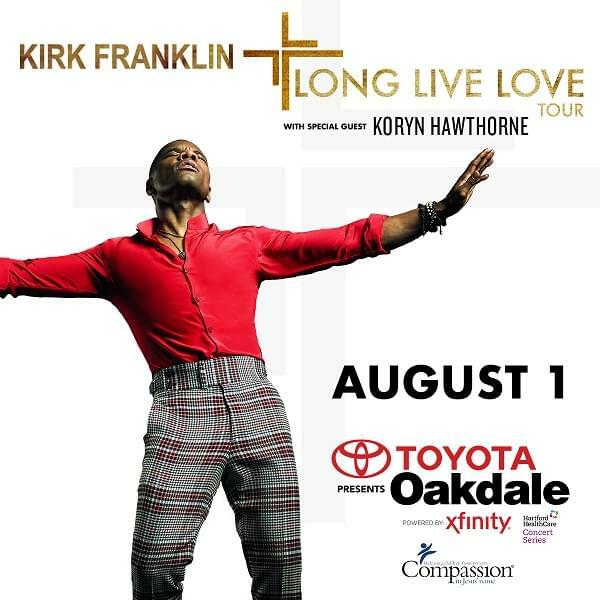 94.3 WYBC and Sweet Sounds of Praise welcomes Kirk Franklin “Long Live Love Tour” with special guest Koryn Hawthorne to the Toyota Oakdale Theatre in Wallingford on Thursday August 1st. Tickets are on sale now at www.oakdale.com. Your browser does not support iframes. Please visit http://digitalivy.com/FWJQDU.